Yesterday I told you about the 2010 Ultimate Blog Party over at 5 MinutesforMom. Today I want to tell you about how I'm celebrating; and about some of the really great prizes their giving away at the party. First of all, I really like to bake. So,I was inspired by some of the cakes from the previous years that Janice and Susan showed off. Get this, they actually have "Ultimate Blog Party" written on them in icing. So, I am going to attempt something similar. I know it sounds silly, but why not? I will post pictures of it when it's all said and done. I got another way to celebrate from my Daddy several days ago. You see, I was sick and he told me to take the day off. He mentioned that it wouldn't hurt anything, and I could call it my own personal Spring Break. Well, I explained to him that Mommy Spring Break could only last a day. Then, as I was making my bed; it dawned on me; Mommy only gets a Spring Break when she's sick. So, after some quick thinking I decided that I am going to use the Ultimate Blog Party 2010 as an excuse for one more day of Mommy Spring Break. You see, I am no longer sick, and this will be much more fun. No, the house isn't clean, and there is laundry to be done...but it is The Ultimate Blog Party 2010! I promise to not take the entire April 9-16th off...but it is tempting! (1)- Grand Prize-Toshiba Satellite L505D-ES5025...Who wouldn't want this prize? It would be great for me to take homechool on the go! (2)- USC #15- $50.00 Target Gift card...I could really use this with some coupons. (3)- #32- Target Gift Card...need I say more? (4)- #107- Target Gift card...I'm not very predictable am I? (5)-#104- $50.00 Visa Vanilla Gift Card... Wow! (6)-#100- $25 Wachovia Gift Card... This could go far with some coupons. (7)- #47- Muffintop mama attire...here's me some gym clothes...Yeah! (8)- #83- Disney Mickey 5 in 1 Tasty..a gift for my Mama, aka Mickey fanatic! (9)- #57- Yoga gift set...more gym stuff...Yeah! Now...I have to mention that, although I couldn't decide between all the beautiful jewelry being offered over there, that I would absolutely adore any of that...In fact, I've already pictured myself wearing any of it to church. I would also like to say that I would be grateful for any prize not mentioned on my list. Thank y'all for visiting my blog and have fun at the party! I'm with you... those Target cards would be handy! I love to shop their end caps and clearance racks-- I wind up matching up coupons for some great deals there. I also love to read, bake, teach, cook, and save money. Great UBP post let's keep the party going! Love your blue angels picture! My Dad was a Navy pilot... it made me smile. Happy blog party... your layout just SAYS party to me! So glad you came by my blog and entered my giveaway! It's great to meet you! Thanks for comin' by my blog! I love your background! My SoCal girl heart just smiles when I see it. I'm glad you found the detangling spray useful! Good luck with that cake! You are right, Moms usually don't get a day off unless they are sick. And I have found that even then, I don't truly get the day off. Thanks for stopping by my blog. Love your blog....This is such a fun party and I have already met some of the greatest bloggers... 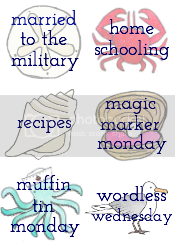 I am amazed at all the different and creative blogs. 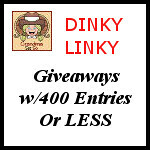 Stop by for a visit...just leave a comment on any of the last few posts on either blog and you are eligible for the GRAND PRIZE $100 GIFT BASKET! Love your style of writing! I look forward to following you and am glad I found you at the UBP 2010! 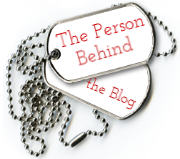 Found you through UBP--great blog and I am glad I ran across you!! Thanks! Nice to meet you! :D Just stopping by from the party to say howdy. Love your blog. Have a great weekend and happy UBP! :D And hope to see you stop by sometime!! Visiting from UBP2010; so nice to "meet" you. Just saw your post on kite flying; we did the same thing at my daughter's school picnic last Friday. Have a wonderful day! Hopping over from the UBP - enjoy your Mommy Spring Break...what a great idea! !